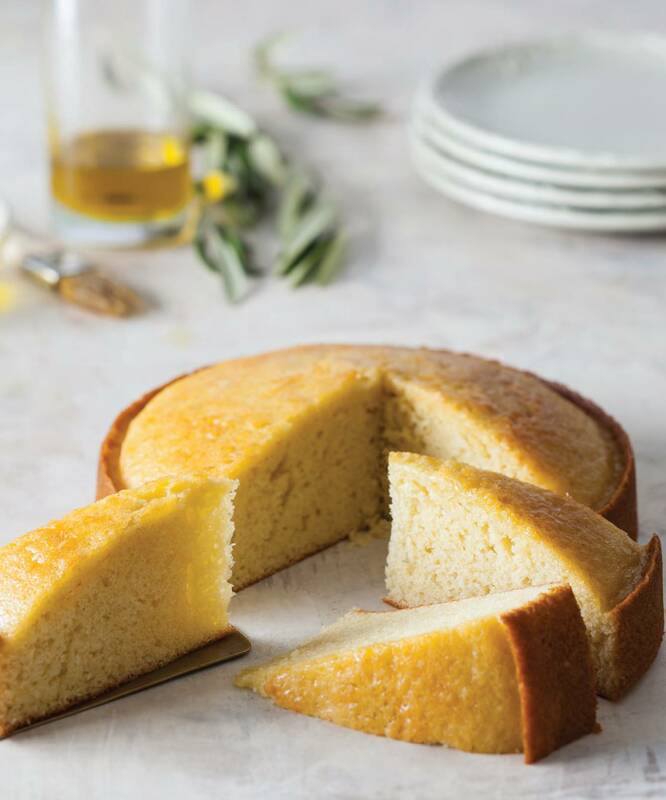 A staple in most Mediterranean kitchens, this light and barely sweet cake is perfect for an afternoon snack or late morning tea. A final brush of olive oil just before serving brings the fruity flavor to the front of your palate as soon as you take a bite. Preheat oven to 350°F (180°C). Spray an 8-inch round cake pan with baking spray with flour; line bottom of pan with parchment paper. In the bowl of a stand mixer fitted with the whisk attachment, beat eggs and sugar at high speed for 30 seconds. Add oil in a slow, steady stream, beating until combined. Add milk, beating until combined. Reduce mixer speed to low. Beat in extracts. In a medium bowl, whisk together flour, baking powder, and salt. Gradually add flour mixture to egg mixture, beating until combined, stopping to scrape sides of bowl. Pour batter into prepared pan. Bake until a wooden pick inserted in center comes out clean, 30 to 33 minutes. Let cool in pan for 5 minutes. Remove from pan, and let cool completely on a wire rack. Brush with fresh olive oil just before serving. Store at room temperature wrapped loosely in foil or plastic wrap. bring to a boil until mixture raises to top remove from heat. I have made this cake twice, both times it came out delicious. 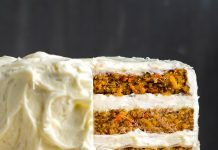 This is the kind of cake you can eat any time and it stays moist for a good period of time.